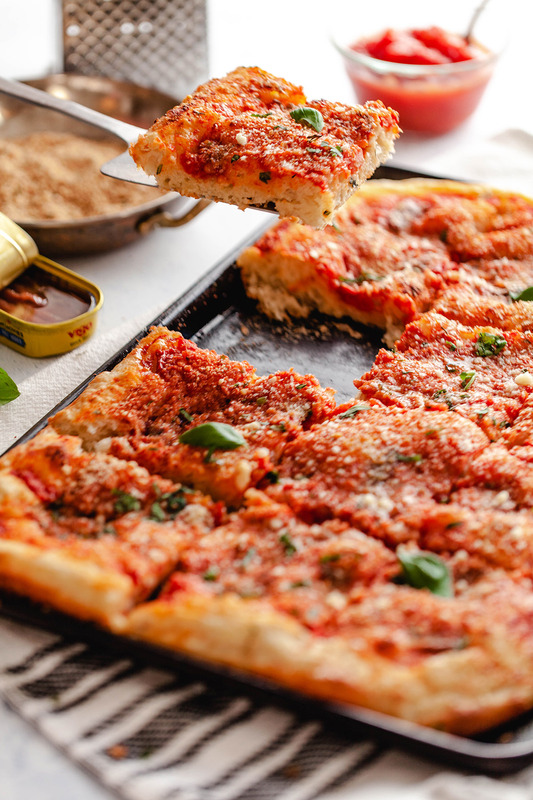 We like to think of our Sicilian pizza as the perfect Friday night meal: it's quick and easy, and it'll feed the whole family or a group of friends. Either way, you'll be happy you made it! Heat your oven to 400°F. Oil a baking sheet with Colavita Olive Oil. Drizzle about 1 tbsp of Colavita olive oil over the top of the dough, smoothing it over the surface with your hands. Cover the dough with plastic wrap and let it rise at room temperature for 30 minutes. After 30 minutes is up, remove the plastic wrap. Press the dough very gently into the corners of the baking pan (if it doesn’t reach the edges of the pan, it’s ok). Spoon the Colavita Crushed Tomatoes on top of the dough. Place the anchovy pieces on top of the tomatoes, distributing them around the surface of the pizza. Sprinkle the top with breadcrumbs, parmesan cheese, and freshly ground black pepper. Drizzle with another tbsp of Colavita Olive Oil over the top. Place the pizza in the oven and bake for 10-12 minutes, rotating the pan halfway through the baking process. Remove from the oven and garnish with fresh basil. 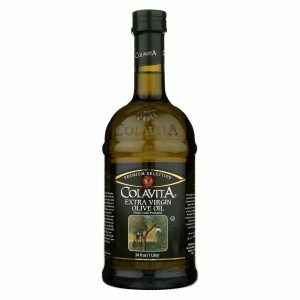 A trusted family brand, Colavita started out in Italy, making Italian Extra Virgin Olive Oil. 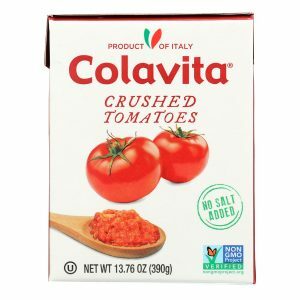 Colavita offers the widest selection of fine Italian products in one place. Want recipes, cooking tips, and deals delivered to your inbox only twice a month? Sign up now to save, learn, and eat! © 2019 Colavita. All Rights Reserved.